I attended Lisa Richey's inaugural lecture yesterday, wrote a new book review & travelled to Germany this morning for a trip to see family and attend a workshop next week! 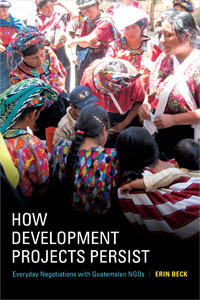 So without further delay: Your #1 #globaldev link review for this week! Great to see so many familiar faces at @BrandAid_World's inaugural lecture on "commodifying compassion"; expect some #globaldev live tweeting :) — Tobias Denskus (@aidnography) February 21, 2019Enjoy! After I watched a quite terrible promotional video from charity: water and ended up buying its founder and CEO’s biography Thirst. A Story of Redemption, Compassion, and a Mission toBring Clean Water to the World I was prepared for the worst. 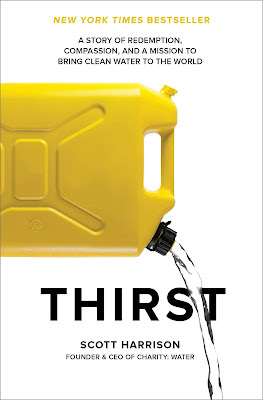 But despite my extensive readings of aid worker biographies and a fairly critical approach towards ‘disruptive’ charitable ideas in development Thirst surprised me in some ways. It is one of the most, for lack of a better word, schizophrenic development tales I have read in a long time, the tale of a 21st century charity that fundraises millions and positively impacts the lives of millions-and a tale about a lot of things that are going wrong in contemporary development whenever a white American man is looking for ‘redemption’ and needs to find it in a village in Africa. Development news: Erik Solheim & the well-known story of UN leadership problems; Angelina Jolie in meme territory; after the Oxfam scandal; some Tories want to cut UK #globaldev; Belgium's racist past & present; Congo's rigged elections; is Canada's feminist foreign policy a fraud? Miss Curvy Uganda & the objectivication of women; how UNHCR want to address gender imbalances in their innovation stories; Kenya's DNA-based ID system; UNICEF innovation; how to make extractive industries more accountable? How aid disrupts local markets for journalism; DfID media development efforts; does aid benefit the rich? German museums & their colonial past. Our digital lives: People liked the Gillette ad. Publications: Lower vaccination rates in Pakistan thanks to CIA undercover mission to capture Bin Laden. Development news: WFP teams up with Palantir, welcomes 'mature debate' on data; Gucci & blackface; UK's successful aid; time for a change at the World Bank; women humanitarians in Fiji; curvy women in Uganda; Amnesty's martyrdom culture; the only black woman at the philanthropy dinner table. Our digital lives: Fighting billionaires; surveillance capitalism essay; the strange case of book covers in the digital age. Academia: Are you listening to the right music to be productive?